Greetings warriors, we are back again with the weekly update! We want to thank you again for your support. If you have any suggestions for topics that you would like to see in this update, please share on Twitter, Reddit or our Forums! This week, we are working on several items which include releasing the last update (version 1.05) for Xbox One and PS4. The patch was submitted to Sony and Microsoft at the beginning of the week. Once it is approved, which we estimate will happen next week, we will push the patch live. Our team is also continuing work to improve the global stability of the game and will be integrating more fixes in the coming weeks. 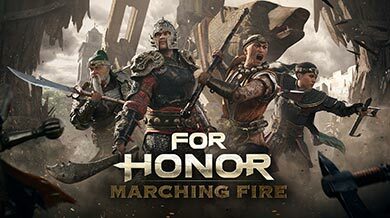 We are happy to report that the recently re-introduced maps (High Fort and River Fort) are performing at the same level that the other maps in the multiplayer rotation. On the community side, this week we are hosting our second Community Workshop, where we invite eight of you to the studio to discuss balancing and other topics with the For Honor developers. This is an amazing opportunity for us to get in touch with you guys and get fresh feedback on upcoming content. We are looking to do more of these in the future and invite different players. Finally, we sat down with Game Director Roman Campos-Oriola this week to answer five community questions about the last update. 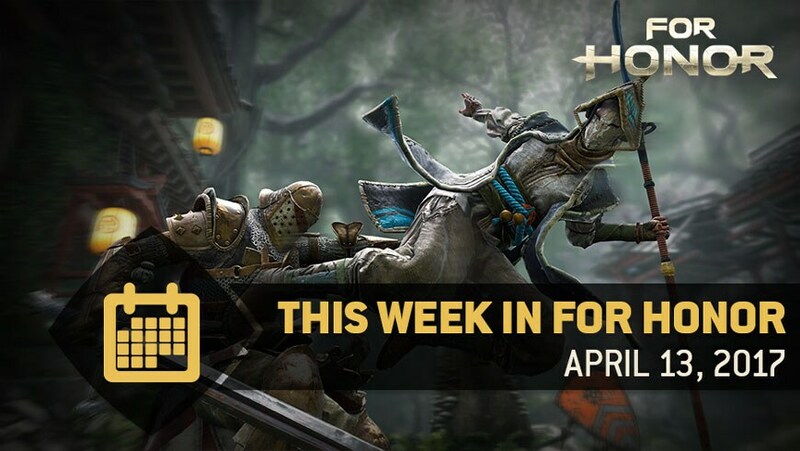 We also looked at the Faction War’s latest round! Also, we wanted to do a hero spotlight on the Nobushi to share some inspirations from the art team and show some great content posted on our forums and YouTube. To add on this, new upcoming in-game weekly content, a poll about future event order! Q. Overall I really loved the patch, great work. That being said there are some things that have come from it or things they should consider doing more. That being said, LawBringer shove light is kind of busted right now, as in inputs needed to block are not consistent. some people have been testing it and are coming up with different answers depending on whether the shove is block based or dodge started (which is dumb) and *if a block is possible the input is strange and non-intuitive. Same with with beserker exhaustion punish, was it a mistake having them get two heavies? Or is it an unintentional consequence of the patch? ROMAN: Regarding the Lawbringer, there is indeed a bug, and we are looking into it. Shove light should never be blockable and should be dodgeable. For the Berserker it was unintentional to remove the punish. We fixed an animation glitch and it led to that. We are looking at putting it back soon (the punish not the glitch ). Q. 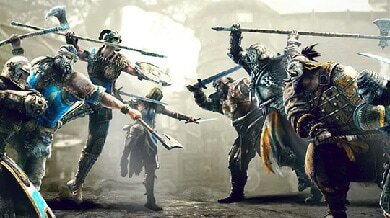 How do the devs intend to address The Orochi inability break past a turtling/defensive playstyles due to his minimal kit in the next balance patch? ROMAN: We are still considering our options. Our data shows the Orochi is in a relatively balanced spot for now. So before improving their options against overly defensive characters, we prefer addressing the defensive meta first, then look at the Orochi. ROMAN: These soft feints are a bug. The window of opportunity to trigger them is not consistent so they’re impossible to master. As a first step we’re going to remove them. However, we’ve noted how players feel they may help solve the defensive meta, and if we ever decide to make these an actual gameplay mechanic, we would implement them in a way that would make them reliable tools. Q. The Shugoki's "Charge of the Oni" sees a lot of use in team modes due to its low risk - high reward. It has almost become a necessity in tournament games. Are there any plans to change how this mechanic works? ROMAN: Yes it will be fixed soon. That move is way too powerful, it was supposed to be a disrupting move on the fringe of the Shugoki kit, not his core move. Every good outfit needs a proper ornament. This week, we will release 12 new ornaments – one for each hero. These ornaments can be found in the heroes customization menu and acquired using Steel. 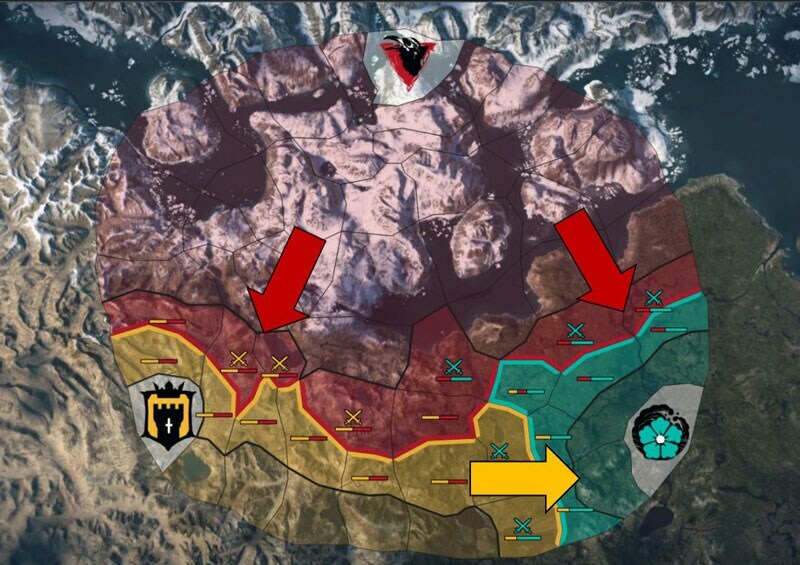 Round 4 of the Faction War took a dramatic turn in its last days. 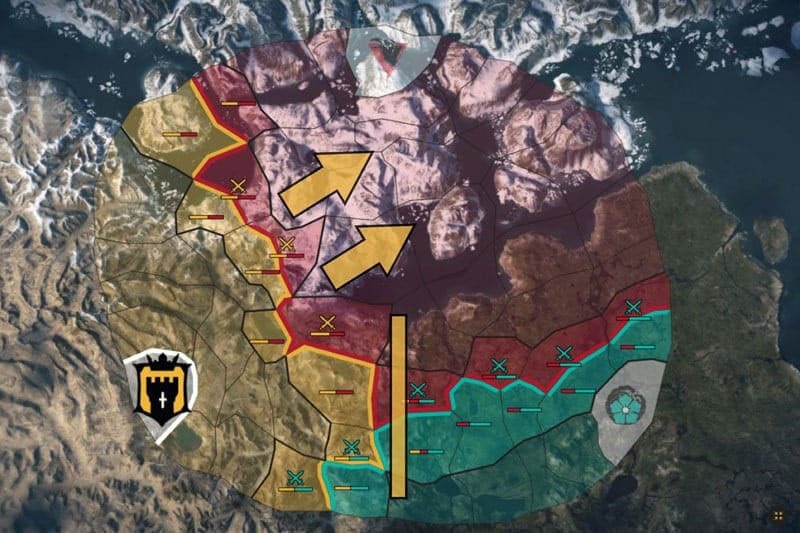 The knights managed to claim Samurai territories in the East, but at great cost. Vikings seized the opportunity and forayed deep into Knights territory, securing a sizeable chunk of the map and their second victory of the season. Knights are now out of the race, but still have an important role to play. They might be the faction that will decide the winner of this season. Will they counter-attack to seize back territories in the North, or keep pushing the Samurais back to the East? Starting this week, we will be using polls to gather feedback. Our question for you this week is simple: Which kind of event order would you like to see in the future? Poll available on the forum here. Our team was inspired by vintage photos of naginata warriors, so we decided to go with a light outfit and a long vest to amplify the movement of the character. We see her as a dancer, swinging her weapon with rhythm, therefore we reduced the military aspect to focus on a more casual outfit like some monks that were masters of this discipline. The head gear is faithful with some twist especially for the mask that is inspired from kabuki to give a mysterious look to this warrior. If you want to learn more about the Nobushi and her playstyle, make sure to look at this awesome Advanced Nobushi Guide made by the For Honor Legends community. You will find some interesting background information, her strengths and weaknesses, all of her moves and a lot of animated GIFs. Thanks to everybody involved in the creation of this game guide! Also, below some great Nobushi gameplay videos made by the community! Many thanks for creating this kind of great content!